Bruce Lipton Ph.D. , Bernie Siegel MD , David Katz MD , Deborah King, Mimi Guarneri MD, Gary Craig, Tad James Ph.D. , Adriana James Ph.D. , Dawson Church Ph.D., Karl Dawson, Friedemann Schaub MD, Ph.D. and Rob van Overbruggen Ph.D.
What specifically can I do to feel happier and healthier? What diet, exercise or lifestyle practice is right for me? Which specific beliefs affect my symptoms? Do my traumas or emotions cause health issues? What strategies work for chronic health issues? Do my genes determine my destiny? Why do I still have symptoms even if I exercise and eat healthy? Bruce H. Lipton, Ph.D., cell biologist and lecturer, is an internationally recognized leader in the “new” biology. His pioneering research on cloned stem cells presaged the revolutionary field of epigenetics, the new science of how environment and perception control genes. Bruce served on the faculty of the University of Wisconsin’s School of Medicine and later performed groundbreaking research at Stanford University’s School of Medicine. 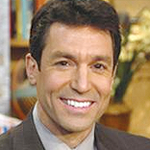 He is the bestselling author of The Biology of Belief, The Honeymoon Effect. Dr. Bernie Siegel has touched many lives all over the Planet. In 1978, he reached a national and then international audience when he began talking about patient empowerment and the choice to live fully and die in peace. As a physician who has cared for and counseled innumerable people whose mortality has been threatened by illness, He continues to break new ground in the field of healing, supporting changes in medical education to “humanize” medical practice. His latest book The Art of Healing, out this Fall, contains 70 drawings to reveal how psyche and soma reveal themselves. 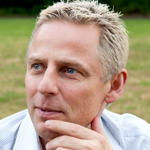 Rob van Overbruggen: My passion for health and wellbeing started in 1994. At first I focused on mental health. With the use of hypnosis, neuro-linguistics and energy psychology I am able to help people to reach their goals fast and efficient. In 1996 I started to study how the mind influences disease processes. I noticed that emotions and beliefs directly influence symptoms and diseases. A change in emotions and beliefs often allows the disease or symptoms to disappear. This study resulted in my book Healing Psyche(http://www.healingpsyche.com). It explains the influence of the mind on the process of cancer from a scientific viewpoint. Many studies already have shown that the mind influences the cancer process. In this book I discovered the patterns that they all have in common. The patterns that I identified are universal applicable in the recovery of any disease or symptom. During my study I discovered META-Medicine. This area of expertise is about the direct relationship between psyche and body. META-Medicine focuses on the emotional background of your symptoms. Using this advanced model I am now able to pinpoint the exact emotional stress that prevents the healing of specific symptoms. By releasing that emotional stress the body can repair itself again. The body never makes mistakes. DAVID L. KATZ MD, MPH, FACPM, FACP, is the founding (1998) director of Yale University’s Prevention Research Center. Katz is known internationally for expertise in nutrition, weight management, and chronic disease prevention. He is the Editor-in-Chief of the journal Childhood Obesity and President-Elect of the American College of Lifestyle Medicine. He helped establish, and formerly directed, one of the nation’s first combined training program in Internal Medicine and Preventive Medicine, and served as Director of Medical Studies In Public Health at the Yale School of Medicine for 8 years (1996-2004). 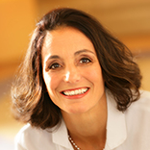 Mimi Guarneri ,board-certified in cardiology, internal medicine, nuclear medicine and holistic medicine, Dr. Guarneri is the founder and the medical director of the Scripps Center for Integrative Medicine. Dr. Guarneri is the author of The Heart Speaks, a poignant collection of stories from heart patients who have benefited from integrative medicine approaches. The Heart Speaks and her clinical work have been featured on NBC Today and PBS’s To the Contrary and Full Focus. Her work was also featured in a two-part PBS documentary, The New Medicine. Dr. Guarneri has been recognized for her national leadership in integrative medicine by the Bravewell Collaborative and now serves as chair of the Bravewell Clinical Network for integrative medicine. Most recently, she was elected president of the American Board of Integrative Holistic Medicine. 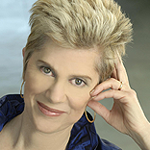 Master healer and shaman Deborah King was a successful attorney in her 20s when a diagnosis of cancer sent her on a search for truth that radically changed her life. Unwilling to undergo invasive surgery, she turned to alternative medicine and had an amazing remission at the hands of a healer. Leaving the corporate arena for the mysterious world of healers, sages, and shamans, Deborah mastered ancient and modern healing systems, ultimately developing a powerful healing technique of her own. Her first best-seller, Truth Heals: What You Hide Can Hurt You, explores the relationship between the suppression of painful emotions and their impact on health and happiness. Deborah travels worldwide, helping thousands of people transform their lives through her experiential workshops. Gary Craig is the founder of EFT (sometimes called “Tapping”) and takes pride in the fact that anyone can learn the basics. EFT, in essence, is an emotional version of acupuncture except needles are not used. Instead, the meridians are stimulated by tapping with your fingertips on certain body points. Properly done, this fascinating technique frequently reduces the conventional psychotherapy process from months or years down to minutes or hours. It has long been known by the medical profession that stress and other negative emotions are major causes of disease. Join Gary in this riveting presentation and learn how EFT has been used to stop migraine headaches in their tracks, rid our war veterans of their PTSD and relieve the symptoms of an endless list of ailments. Be prepared for a new perception in how you view the healing process and leave with the clear understanding as to why EFT can be used for every emotional, physical or performance issue you can name. 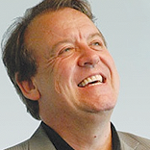 Tad James, M.S., Ph.D. was the second person in the world to be certified a Master Trainer of Neuro Linguistic Programming (NLP). He is the author of 7 books — best sellers in the field. He is the creator of the very powerful Time Line Therapy® techniques and training. 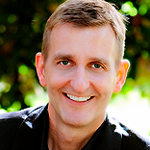 He is an exciting, dynamic transformational seminar leader, speaking to thousands every year. Over that time, he has become a recognized and acknowledged leader in the dynamic field of accelerated human change and development. Adriana James began her music career at the early age of 5 years old when she won her first competition in her native country of Romania. This young prodigy was so gifted that even though Romania was a Soviet country she was allowed to travel all over the globe to World Class competitions and won 19 top European awards. In 1994 she was awarded “Woman of the Year”, by The American Biographical Institute for her achievements and her Leadership ability. Dawson Church is a health writer and researcher who has edited or authored a number of books in the fields of health, psychology, and spirituality. His principal work is The Genie in Your Genes, which reviews the research linking consciousness, emotion, and gene expression. He has published many scientific papers in peer-reviewed journals, collaborating with scholars at various universities on outcome studies of posttraumatic stress disorder (PTSD), depression, and anxiety. He is the editor of the peer-reviewed journal Energy Psychology: Theory, Research, and Treatment, and general manager of Energy Psychology Press, which maintains a research bibliography and case histories at EFT Universe.com, one of the most-visited alternative medicine sites on the web. 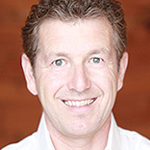 Dr. Friedemann Schaub, a physician and molecular-biologist, is the author of the award-winning book The Fear and Anxiety Solution. Dr. Schaub’s breakthrough and empowerment program has helped thousands of his clients world-wide to overcome fear and anxiety through addressing the deeper subconscious root causes of their emotional challenges. After more than 15 years of experience and research in the medical field, Dr. Schaub recognized that our abundant self-healing abilities can only function effectively when mind, body and spirit are in alignment. With Cellular Wisdom Dr. Schaub created a personal breakthrough and empowerment program, which is specifically designed to eliminate any emotional and mental obstacles and limitations that prevent you from fully activating your potential to heal, change and succeed. He lives with his wife Danielle in Seattle, Washington. Karl Dawson is one of only 29 EFT Masters worldwide and over the last seven years has worked extensively to teach EFT trainees from all over the globe how to transform their emotional health to overcome physical and psychological disease by releasing stress and trauma from their energy systems. Karl’s monthly EFT trainings are extremely popular. 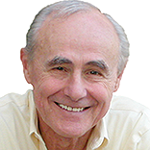 He has trained thousands of people to use EFT for their professional and personal use, including doctors, scientists, counselors, therapists and lay people alike. Karl has presented at energy psychology conferences worldwide, including the United States, Asia, Europe and Australia including the Hay House ‘I can do it’ conference in London, and has presenting alongside Louise Hay, Dr Bruce Lipton, Caroline Myss, Rob van Overbruggen Ph.D. Lynne McTaggart, Dr Rupert Sheldrake, Dr David Hamilton, Gregg Braden, and other leaders from the self help industry. In 2007, a shift in awareness enabled Karl to gain new understanding behind the causation and resolution of trauma. This new awareness, gained from extensive observation and experience with many, many different cases of emotional trauma and physical disease, has led him to create Matrix Reimprinting. Since then the technique has grown and developed. Karl has been using METAMedicine/META-Health with his clients and students for over 7 years and finds the combination of using EFT/Matrix Reimprinting with META-Health the perfect way to quickly find and resolve trauma and negative beliefs. 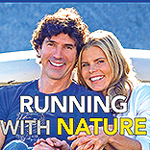 Mariel Heminway and life partner, eco enthusiast Bobby Williams authored,Running With Nature (Changing Lives Press), wherein they share their insights about the impact of good nutrition, meditation, movement on self-sustaining self-healing focused choices. 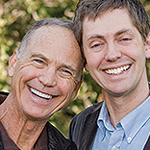 John Robbins and Ocean Robbins are father and son cofounders of the 100,000+ member Food Revolution Network, and coauthors of Voices of the Food Revolution. Over the last 25 years, John’s books about healthy eating and healthy living (including blockbuster bestseller Diet for a New America) have sold millions of copies and been translated into more than 30 languages. 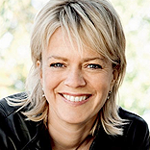 Ocean Robbins is author of The Power of Partnership, and serves as CEO of the Food Revolution Network. Dr Kwesi Anan Odum is an expert in META-Opthomology which looks at symptoms of the eyes like glaucoma, refraction, macular degeneration, catarct and asks which stress and emotions affect the onset of disease symptoms and what you can do to transform it into an healing process. 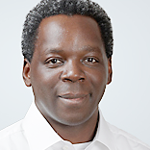 Dr. Odum practices in his own private practice in Berlin and gives seminars and trainings worldwide about META-Medicine and related subjects. Dr. Diana Stefani-Hunyady is a medical doctor and teaches worldwide META-Health Certification Trainings, Neuro-Linguistic Programming, Time Line Therapy, Hypnotherapy, Business and Health Consulting worldwide. Lene Hansson is a celebrity nutritionist and household name in Denmark. Lene Hansson has lost 20 kilos using her own diet modifications and in doing so, has been cured of suffering from hay-fever, food allergies and asthma. Her centre offers a wide range of therapies including nutritional advice, body treatments, META-Medicine and VEGA health check. Johannes R. Fisslinger: Do you wonder why you are sick? Do you feel your emotions and thoughts play a major role in your well-being? If yes, then is there a deeper intelligence and messages our body is trying to tell us? Join Johannes in his life-transforming presentation about a revolutionary new healing paradigm called META-Health which will transform your health and your being. 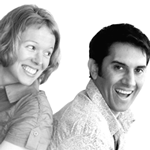 Robert Waghmare and Joanne Ross run regular training programmes, provide individual coaching, and have written some articles on mind-body health and personal development. In this presentation, Robert and Joanne will introduce findings on belief systems. 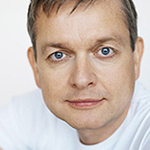 Lars Mygind is one of Denmark’s leading health expert in tapping and holistic living. His entertaining and professional style of delivery ensure sold-out crowds wherever he teaches. He will share his experience working with thousands of clients and how you can resolve health issues like back pain, eczema and other skelletal and skin illnesses. Lars teaches META-Health and Tapping workshops and trainings all over the world to sold-out audiences. 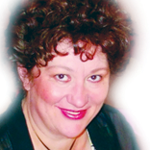 Jasmina Kovacev, BSc is a dedicated student and teacher of life. 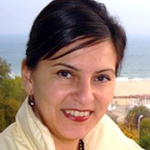 Jasmina teaches EFT and META Health around the world and runs a number of specialist’s seminars and transformational workshops. She also runs an extraordinary program “Emotional and Mental Healing Retreat for Cancer Affected”. 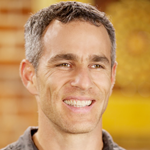 Tommy Rosen is a yoga teacher and addiction recovery expert who has spent the last two decades immersed in yoga, recovery and wellness. He teaches regularly at yoga conferences and festivals, including Wanderlust, Hanuman and Tadasana. He is the host of the Recovery 2.0: Beyond Addiction Online Conference and teaches annually at Esalen, Omega and Kripalu. Tommy’s first book, Recovery 2.0, is due out from Hay House in 2014.